Breathing Techniques for Teens — The Jeff Yalden Foundation, Inc. Addressing the brokenness of our youth we need to address the self-esteem, self-awareness, the lack of parental involvement, coping skills, problem solving skills and so much more. Mental Health classes in our schools are being mandated by many states, but many educational professionals are unaware of what to do or where to start. Jeff Yalden is a teen mental health expert on Teen Mental Health, Teen Suicide, Suicide Prevention, and Crisis Intervention. His latest book, “Teen Suicide: The “WHY” Behind America’s Suicide Epidemic” hit best-seller in two categories within 24 hours. This video explains the Ujjayi Breathe and the benefits of breathing techniques for our youth. Many states are mandating our schools teach mental health in PE and Health Classes. Jeff Yalden is one of the top leading teen mental health, suicide prevention, and crisis intervention experts in America. He has worked with hundreds of school communities who’ve suffered loss, who are being proactive, and as an educational motivational school climate consultant. Jeff Yalden possesses a strong background in clinical psychology and education. His latest book, TEEN SUICIDE: The “WHY” Behind America’s Suicide Epidemic is a best-seller in two categories, Psychology of Suicide and School Violence and Safety. He has online courses used by hundreds of schools on Teen Mental Health and Suicide Prevention. If you are looking for a speaker or educational consultant to work with your teachers, staff, teens, and parents give us a call. Here is a video explaining Breathe Work. 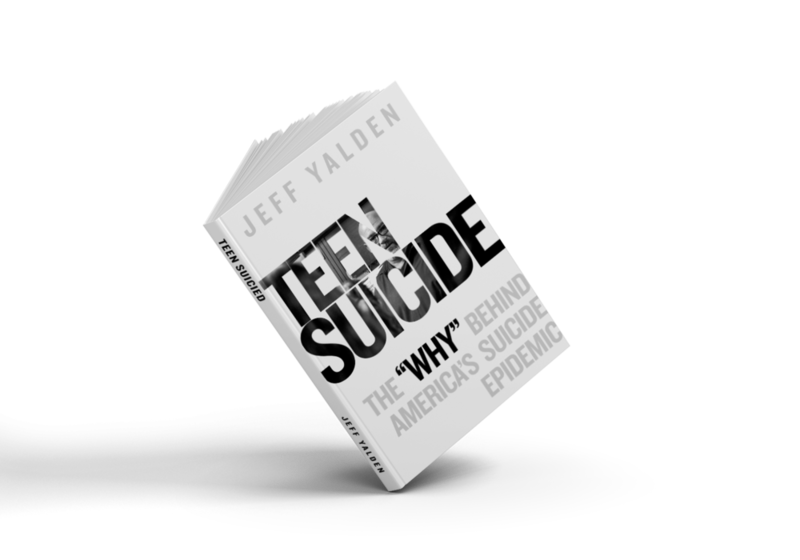 Jeff’s latest book, TEEN SUICIDE: The “WHY” Behind America’s Suicide Epidemic hit BEST-SELLER status in TWO CATEGORIES within 24 hours. This book is a must read for parents, school personnel, youth pastors, coaches, and our counselors.